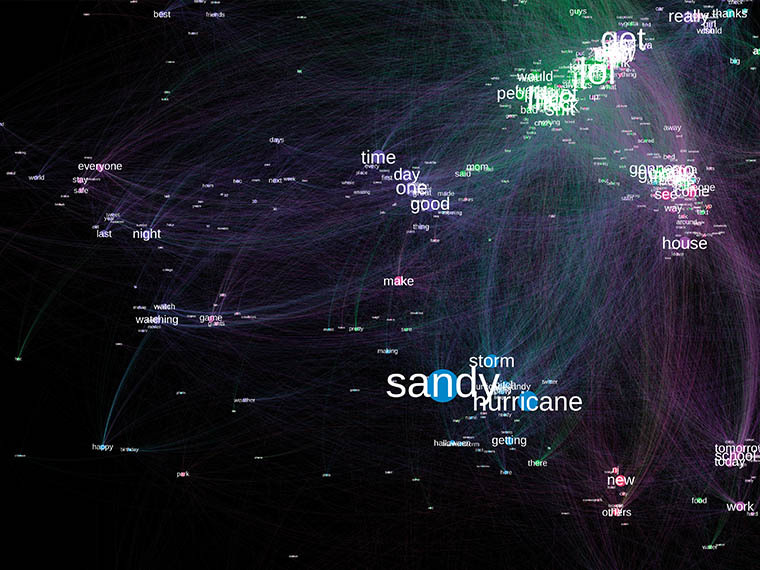 A map showing word cloud collation during Hurricane Sandy: prominence of words indicate frequency of their use within the Twittersphere. When Hurricane Sandy came ashore as a Category 2 hurricane on October 29, 2012, no one could quite comprehend the impact the storm would ultimately have—nearly 300 lives lost, billions of dollars in damage, thousands left without shelter and tens of thousands left without power. As residents rebuilt homes and communities, researchers focused on finding ways to improve communication in order to better prepare individuals, families, and communities for the next storm. MSU researchers, Dr. John F. Edwards and Dr. Somya Mohanty, looked to social media to find ways to improve communication. The project was part of the $1.8 million Coastal Storm Awareness Program, or CSAP, a joint program of New York, New Jersey, and Connecticut Sea Grant Programs and the National Oceanic and Atmospheric Administration, or NOAA. Funded by Congress through the Disaster Relief Act of 2013, 10 social science research projects focused on improving community understanding and response to coastal storm hazard information were funded. Hurricane Sandy was the catalyst for the research. The grant sought to hone in on why many residents in the path of Hurricane Sandy, despite accurate forecasts, chose not to evacuate. MSU, along with universities like Columbia, Yale, and Carnegie Mellon, were granted approximately $150,000 each to assess emergency communication, information dissemination, and decision-making before, during, and after the storm. MSU researchers specifically assessed how storm information was obtained and disseminated among the population. They especially had their eye on Twitter to discover the platform’s role in communication and how that role might be better leveraged in the future. Should I Take A Car Or A Boat? “We wanted to identify and quantify relevant social media messages like this one so that we could evaluate what was happening before, during, and after the hurricane,” Mohanty continued. 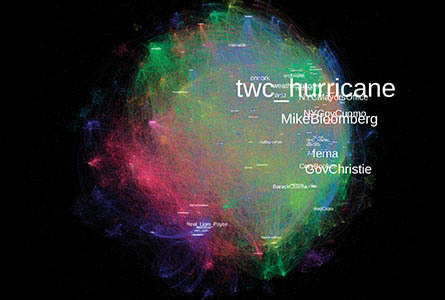 The three components of the project included a survey to the general population of the coastal counties affected by Hurricane Sandy; social-data analysis of Twitter messages before, during, and after Hurricane Sandy; and the development of a Twitter-based, bidirectional software application to capture real-time images shared during Sandy. “We’ve gotten a lot of collaboration from Twitter,” Mohanty said. “Typically, researchers aren’t allowed to conduct mass surveys via Twitter—it’s considered spam. But Twitter as a corporation understood our objectives and were interested in our outcomes, so they made an exception and allowed us to generate a survey and send it to 20,000 users who tweeted about Hurricane Sandy.” Mohanty further explained why Twitter was the ideal social platform for this specific data collection. The researchers also said because many people access Twitter via mobile devices, the social media platform proved particularly useful in emergency situations. According to survey data, respondents said cellphones were the least affected during the storm compared to television, radio, landlines, and wired internet. Researchers sought to determine prominent Twitter users along with the flow of information throughout the Twitter network. They also assessed the overall sentiment—whether tweets were positive or negative in nature—and built word collation maps to determine which words were used the most in relation to the event. Edwards also pointed out something interesting in the sentiment data immediately following the hurricane. “We noticed a fluctuation in sentiment correlated with the decision to hold the New York Marathon right after the hurricane,” Edwards said. “Mayor Bloomberg was vacillating on whether or not to hold the marathon. One news release would go out and people would be happy because he decided to cancel it, and then another release would go out saying the marathon would be held and the overall sentiment of the population would fall.” Bloomberg ultimately canceled the event. The project required an acute understanding of social media as well as a sophisticated software system to analyze tremendous amounts of social media data—something Edwards and Mohanty had been working on long before CSAP sent the request for proposals. “The Social Science Research Center has a long standing survey research laboratory that’s been around since 1982,” said Edwards, who heads up the survey research lab. 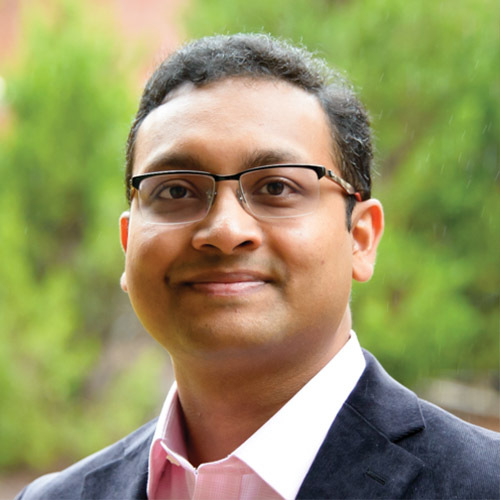 “Most recently, the SSRC director, Dr. Arthur Cosby, has led an initiative to create what he calls the Innovative Data Laboratory, or IDL, which Dr. Mohanty coordinates.” The IDL was developed with the key question of how to give social scientists that did not possess inherent programming skills access to massive amounts of social media data. Researchers said Twitter alone generates about 500 million tweets per day. Researchers developed the Social Media Tracking & Analysis System, or SMTAS, which can provide historical and real-time tracking of any tweet since Twitter’s inception in 2006. Scientists designed and developed a bi-directional system so as people tweet about damage such as flooding, downed trees, and power outages, those tweets are made available to emergency responders in real-time. Data analysts in the SSRC, trained by researchers, review each tweet’s relevancy and verify its georeferenced location in about 30 seconds. From there, emergency responders can take action on the verified tweets and communicate directly with the Twitter user who may be in harm’s way. “We can process both text and images. Since the images are in real-time, they provide emergency managers with a ground-level view of the weather conditions and damage long before first responders can reach the area,” Edwards said. “Regarding the processing of textual data, we identified over 500 people who used Twitter to cry for help during Hurricane Sandy. During a weather-related disaster, many people lose their voice connection through their cellphones, but are still able to send out a tweet.” As more and more people look to social media as an official mode of communication during a disaster, researchers hope their work will position first responders and emergency managers to utilize every forum they can in order to better serve and protect in the face of danger. Edwards notes Twitter use among respondents polled increased from 18.6 in late 2012 to 26.5 percent by mid-2014. “As the growth of social networks increasingly becomes part of everyday life for a larger percentage of the general population, we want to be in a position to utilize this information for the greater good,” said Edwards, who understands firsthand the damage disasters can cause. His family lost their home, car, and boat in Hurricane Katrina. Edwards and Mohanty applied the software for disaster relief efforts when an EF5 tornado hit Moore, Oklahoma in 2013. Researchers provided images captured via Twitter to engineers in order to help determine the structural reliability of area buildings damaged during the storm. They are currently seeking a proposal to use the software in real-time with emergency managers in the Gulf Coast region. 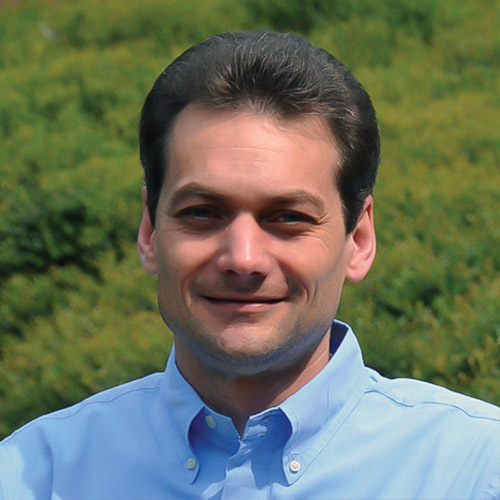 Focus: My research focuses on big data, data science, and machine learning. Passion At Work: My passion for research develops from the utility of data analytics towards innovative problem solving. The advent of big data has made it possible to explore opportunities of interdisciplinary research for a large number of scientific, societal, and environmental challenges. My research goal is to address such challenges by leveraging my expertise in the analytics of big data and developing novel approaches to gain key insights. Focus: As coordinator of the MSU Survey Research Laboratory (SRL) at the Social Science Research Center, I have led the administration of more than 150 scientifically-based survey projects. Passion At Work: Witnessing my parents lose their home and most of their belongings to Hurricane Katrina, I felt a deep sense of personal accomplishment when I was awarded a grant to improve community understanding and response to weather-related emergencies. My colleagues and I designed a software application that provides emergency managers with social media messages, location information, and images chronicling the effects of a weather-related disaster. These time-critical data can help relief and rescue efforts, and save lives.